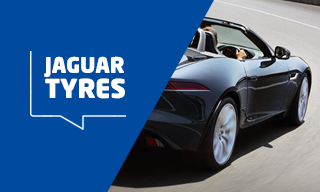 At ATS Euromaster we offer a wide variety of Jaguar tyre patterns suitable for a range of vehicles from the famous manufacturer. The tyres we provide for these models can be purchased online at competitive prices and fitted in one of the 330 centres we operate. 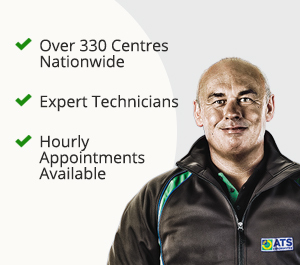 Patterns can also be fitted to Jaguar cars at a time and place that suits you thanks to our mobile tyre fitters. Throughout its history, Jaguar has been working in conjunction with a range of leading tyre manufacturers around the world to create compounds and patterns that can help deliver the best from its vehicles, which are some of the most prestigious cars on the market. Many of the Jaguar tyres available on the market have been specially designed to work with the manufacturer's precise suspension settings, making them some of the most bespoke patterns around. The S type was launched back in 1999 as a revival of the previous S-Type which made its debut in the 1960s. Since its relaunch, the mid-size executive model has been well received by motorists. As with many models from Jaguar, Pirelli tyres have been fitted as standard, however they do have slightly different properties to take into account the specialised Jaguar suspension, which is denoted by a 'J' on the tyre sidewall. The Continental EcoContact 5 provides a smooth and comfortable ride when fitted to the model; however there are other options on the market, such as the Avon ZZ5. The entry level X Type vehicle also comes with original fitment Pirelli P6000 tyres, while Continental also provides a range of patterns suitable for the X Type, although it is important to buy Jaguar tyres with the 'J' on the sidewall. As well as these original equipment fitments the Goodyear Eagle F1 Asymmetric 2, Pirelli P Zero and Avon ZZ5, all offer high-quality alternatives. The latter provides ultra-high performance, superb wet weather grip and excellent handling in dry conditions. The pattern offers drivers complete control and a wide range of fitments for most performance cars.